…and so far I like it! Quick review now & I’ll probably do a more in-depth one in a few weeks. It’s larger than the 5s it’s replacing and about as big as I’m willing to go with a phone. NO WAY was I going to even think about the 6 Plus. The Apple leather case is a great addition that gives enough grip to keep me from dropping the phone every time I pick it up but not so much that you can’t easily slip it into your pocket. The release of iOS8 has caused just about every application I use to issue an update (or two) & that seems like all I’ve done is update apps this afternoon. I still have a few that are crashing (like DropBox) & I’m hoping the next update will resolve that. I’m fortunate that my employer pays for me to get the latest and greatest gadgets to help test before we deploy to 300+ engineers who have no patience for things that don’t work (the way they want them to). If you have an iPhone 4/4s/5 it’s worth considering an upgrade. 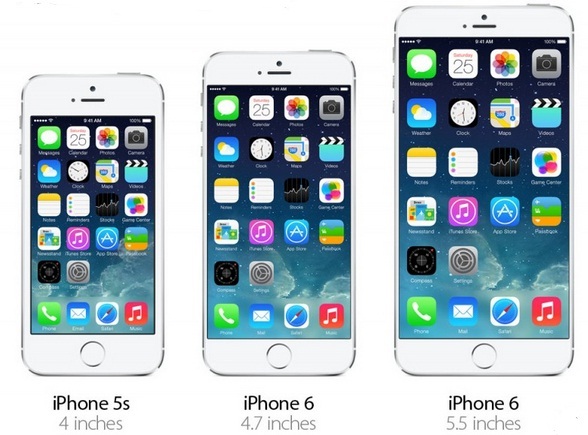 If you’re already using a 5s you’re not going to see that much of a difference (yet). I’m very excited to see how the mobile pay application works once it comes online in October. And I’ll have to admit the watch look pretty damn interesting too. This is it folks. We’ve all been waiting for it & now it’s finally here!